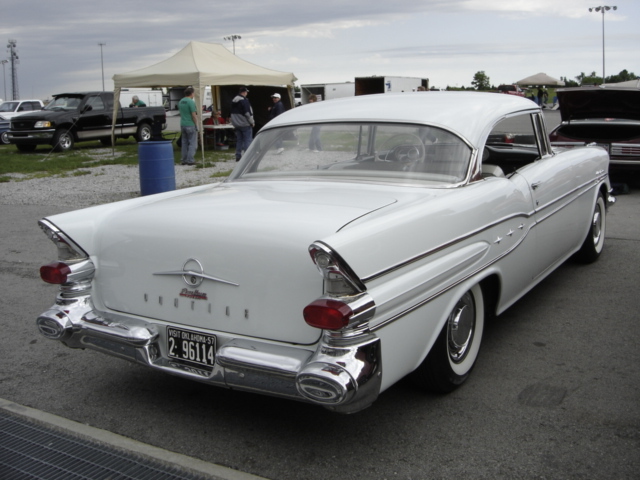 While attending the Pontiac Spring National’s Car Show and Drag Racing event in Tulsa on May 9, I met Pete Rowland along with his great 1957 Pontiac Chieftain. Pete is a member of the Indian Nations Pontiac Club. The Indian Nations Pontiac Club is the host for the Pontiac Spring Nationals held in Tulsa Oklahoma at the wonderful Tulsa Raceway. 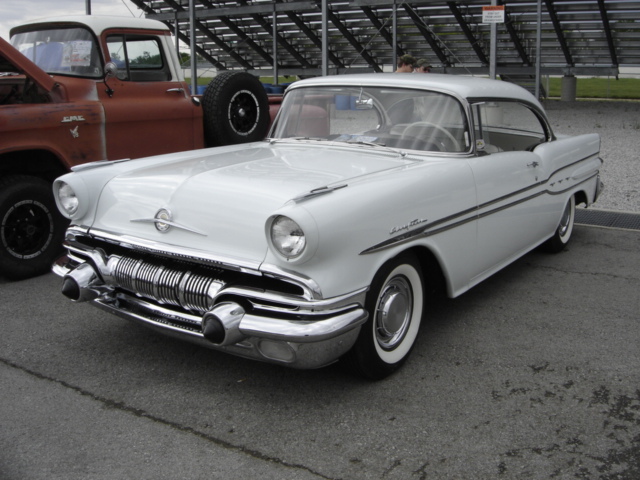 Pete has always loved the 1957 Pontiac Chieftain because while growing up his parents had a Pontiac just like it. 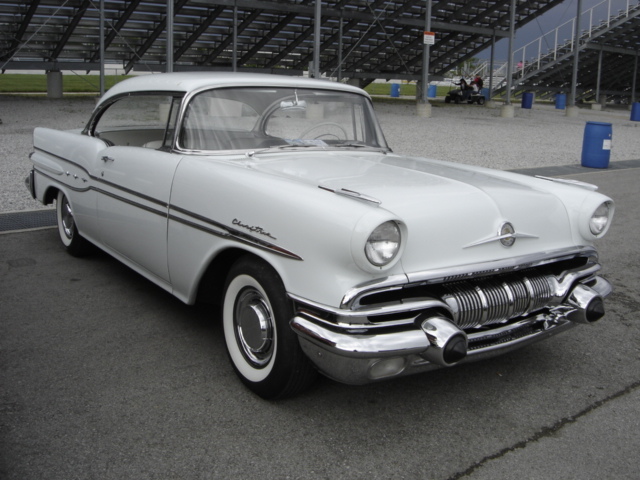 Pete learned to drive and got his driver’s license in a standard shift 1957 Chieftain. Pete owned the car after his parents and drove it until getting married. His new bride could not drive a “stick shift” so the Chieftain was sold to accommodate his wife. Now that is true love! In 1989, Pete purchased this Chieftain and along with the help of his son and the blessing of his wife began a three-year restoration project. 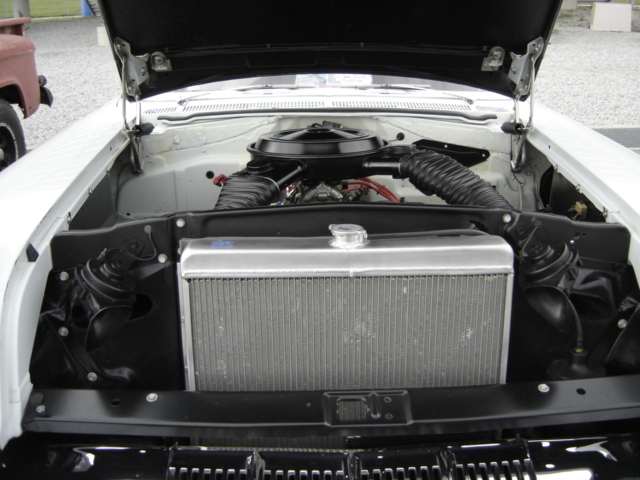 Pete chose a donor 1978 Trans Am to provide a new sub frame. 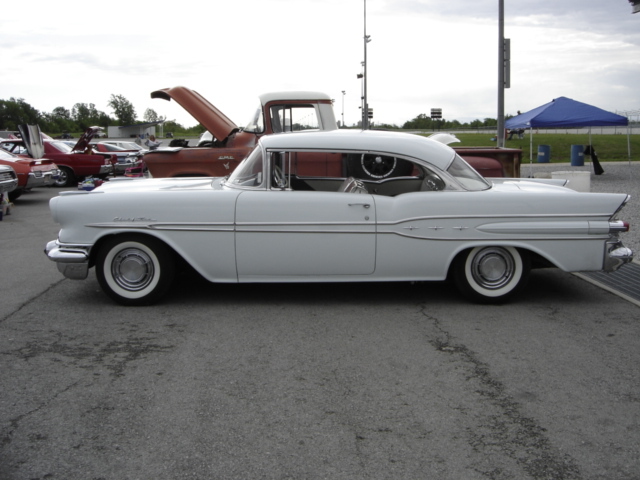 This decision allowed Pete to upgrade the power steering and power disc brakes for the Pontiac. 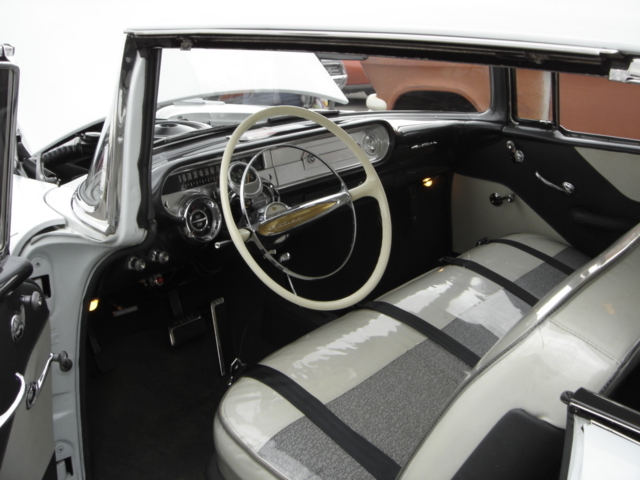 Pete’s son did the interior work that has brought the Chieftain back to better than original condition. 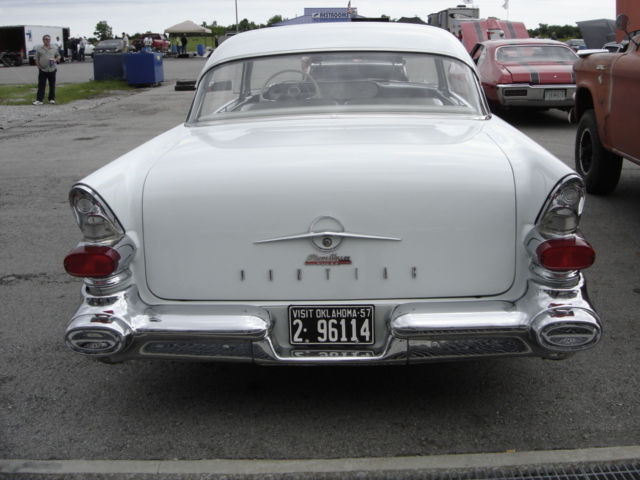 He also did the Scheffield Gray (white) paint and body work which really makes the renewed stainless and chrome work stand out. 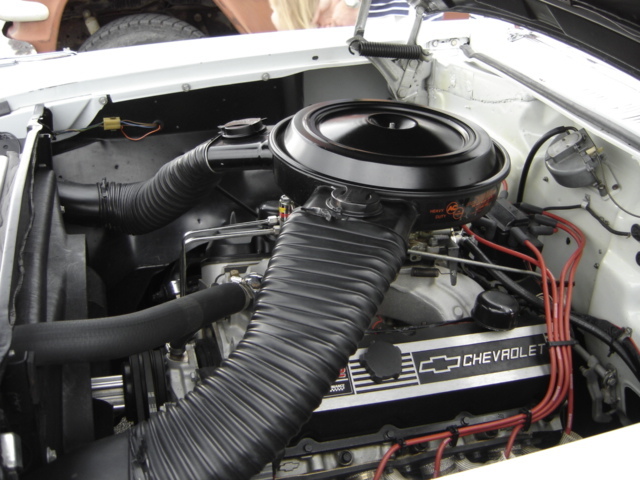 Pete replaced the Pontiac engine with a GM 502 big block that produces 502 horsepower and 567 pound feet of torque. The rear end is a Pontiac 9.3 ring and pinion positraction unit with a 3:42 ratio. 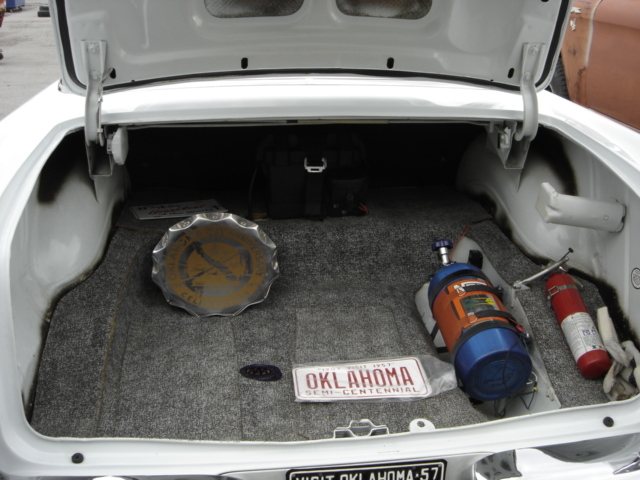 Pete has installed an Art Car Turbo 400 transmission with a 2800-rpm stall torque converter. The best elapsed time for the Chieftain at the racetrack is 11:66 seconds at 115.9 miles per hour. That is probably a little faster than the folk’s old three-speed column shift Chieftain. Pete has built a Pontiac 428 cubic inch engine that has been bored .060 over making it a 440 cubic inch to put in the Chieftain. The replacement engine has a .670 lift Crane Roller Cam, Ram Air heads and aluminum rods. This engine will be going into the Chieftain this summer bringing it back to PONTIAC POWER. In 2009, Pete is stilled married to that same lovely wife and now has the same car again! Great job Pete! Thank you for sharing your great Oklahoma Classic with us. 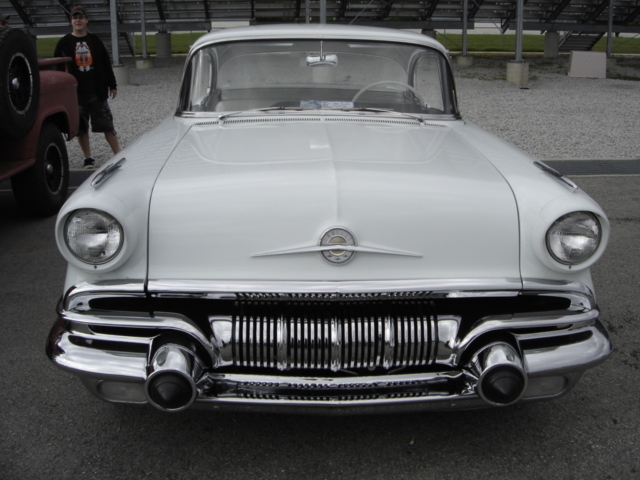 The Cimarron Starlite Cruisers’ Car Club is very proud to feature this classic 1957 Pontiac Chieftain built and owned by Pete Rowland as this month’s GREAT OKLAHOMA CLASSIC. We also would like to thank the Indian Nations Pontiac Club for sponsoring the Pontiac Spring Nationals each year at the Tulsa RAceway. What a great group of good ol' Oklahoma Folks!